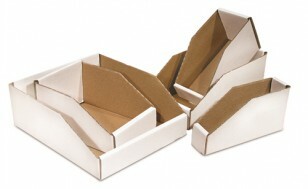 Bin boxes are made of 200# test corrugated. They provide organization of small items. The self-locking design requires no glue or tape for assembly and they can be stored flat until needed. Price listed is per bin.